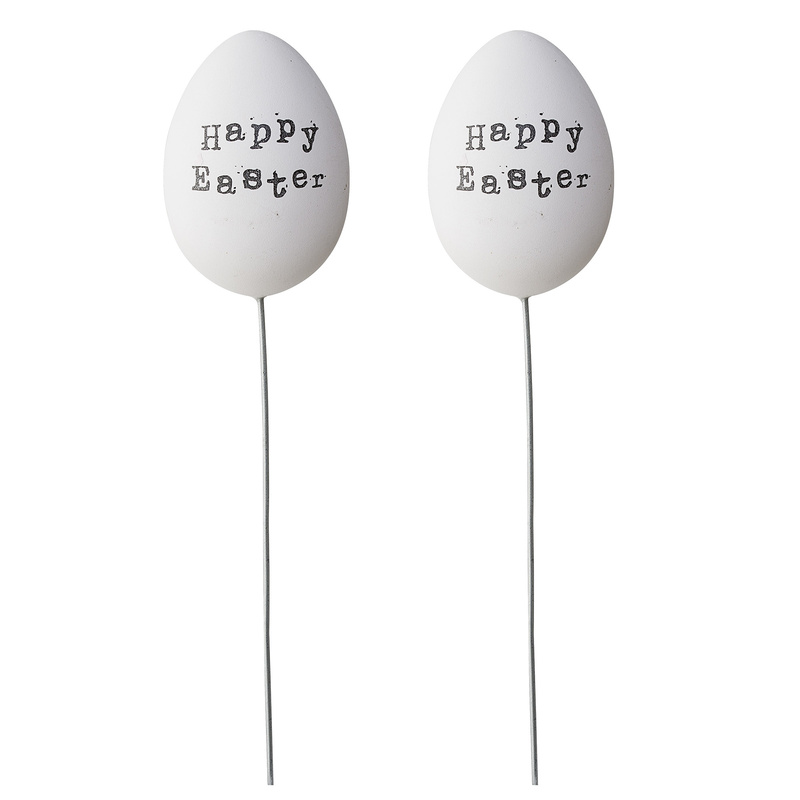 The two Easter eggs with skewers are ideal for decorating two spring-flowering plants or Easter pieces with a beautiful Scandinavian look in an instant! 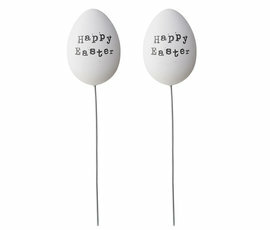 The eggs with a black 'Happy Easter' print are made of plastic, the skewers are made of sturdy metal and are kept in a transparent packaging that is well protected throughout the year. 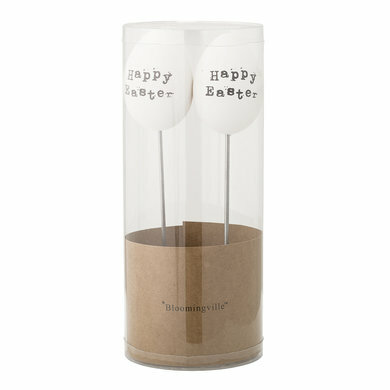 Bloomingville products exude a typical Scandinavian way of life that is combined with natural, classic materials and soft colors.